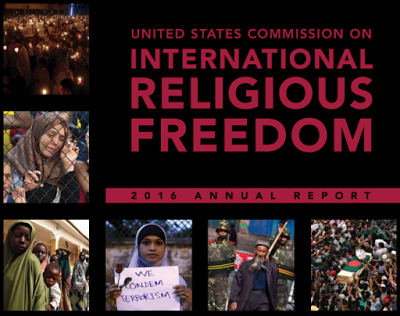 US Commission on International Religious Freedom (USCIRF) on May 2 released its 2016 Annual Report. The report questioned the Chinese government’s claim of having the authority to select the next Dalai Lama. The report said government-led raids on monasteries continued, and Chinese party officials in Tibet infiltrated monasteries with Communist Party propaganda and referred to increased government interference in the education and training of young Buddhist monks. The USCIRF is an independent, bipartisan US government advisory body and the latest report covers the period of Feb 1, 2015 to Feb 29, 2016. Recommending that China be continued to be designated as a CPC, the USCIRF called on the US government to continue to raise religious freedom concerns at the US-China Strategic and Economic Dialogue and other high-level meetings, and encourage Chinese officials “to refrain from conflating peaceful religious activity with terrorism or threats to state security”. The report recommended that the US government urge the Chinese government to release prisoners of conscience, including those who have been detained or placed under house arrest for peacefully practicing their faith, and continue to raise individual cases with Chinese officials. And as permitted by the International Religious Freedom Act of 1998, the report called on the US government to “impose targeted travel bans, asset freezes, and other penalties on specific officials who perpetrate religious freedom abuses”.